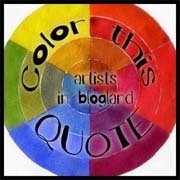 It's time for a new quote over at Artists in Blogland's Color This Quote challenge! I think about this quote every time I alter a book. 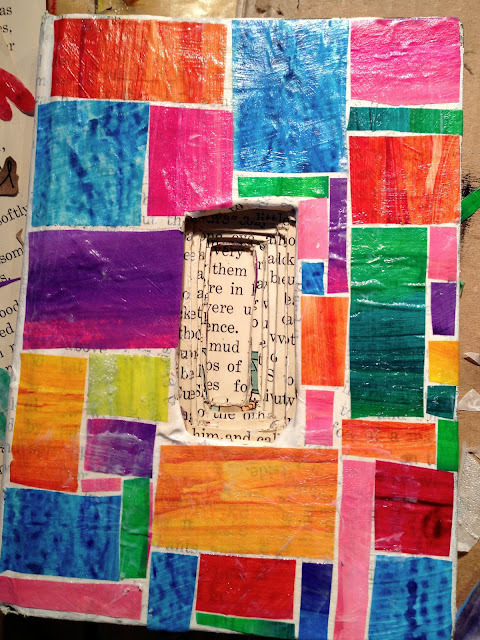 The first time I cut into a book, I felt as though lightening might strike me for "destroying" it. Here's a fast forward video of my most recent book project. 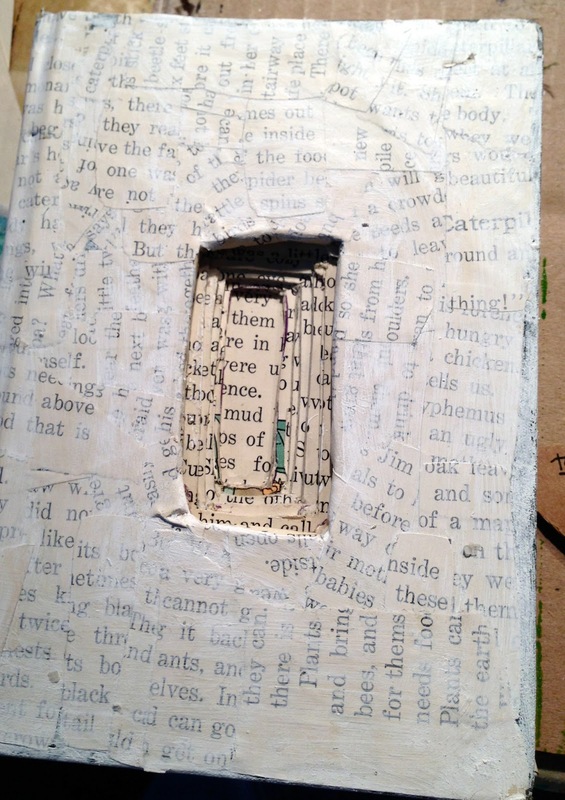 I am "destroying" the book as it previously existed, on my way to create something new. But to make the paper for the book, trees had to be destroyed. This quote speaks to me of the emptiness of the idea of creation. It is not something that happens "out there" in a moment in time. It is part of a continuous flow. Just as a wave is not suddenly born out of the ocean, creation does not suddenly occur - there was something before and there will be something after. 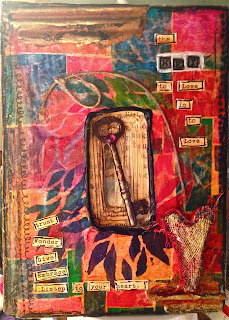 Linking to Artists in Blogland, Mandarin Orange Monday, Inspire Me Monday, Monday Mantras, Simon Says Stamp, Make It Monday, and Creative Every Day. The winners for the giveaway in my last post are: Maria Ontiveros (Watercolor with the Henry Miller Quote), Beverly Baird (Hamsa Stencil), Claudine C. (The Heart Can Do Anything Watercolor), Textile Recycler (Priestly Blessing Stencil), Boo (Garden of Your Heart Watercolor)! Send your snail mail address to me at jessicabethsporn (at) gmail (dot) com! Really cool Jessica! I love the heart and your process is so cool. I must try that deli paper. 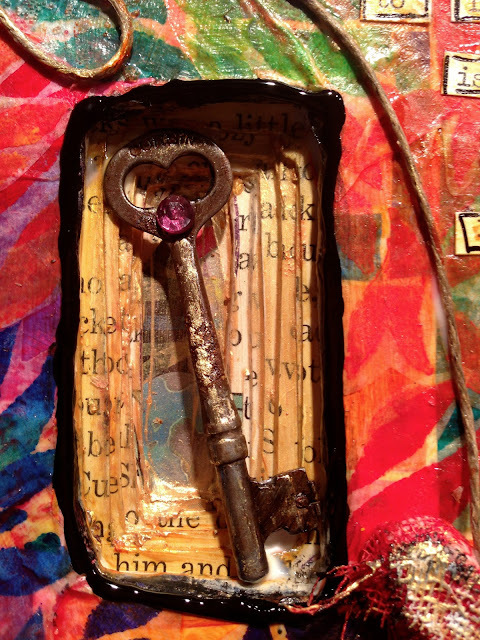 Both life and creating are a continous flow. It is so interesting to think about how they intertwine. 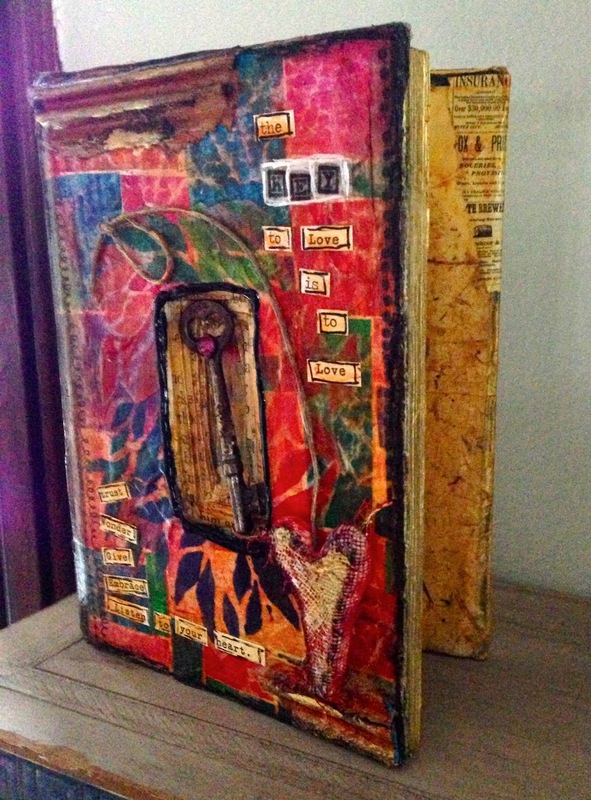 Your post made me think and your altered book is lovely. I really love this Jessica! Creative and inspiring! Excellent words and process. Looking forward to this quote! I am loving the "mosaic" look of this book, Jessica. Love watching you. Is deli paper similar to parchment? Did you use air dry clay? Do you glue the book shut? How is the glaze material you used towards the end on top different from what you used to adhere the paper with? 1. I think deli paper is similar - but I believe you can bake with parchment paper but not with deli paper. Here's a forum that discusses this! http://www.clothpaperscissors.com/forums/t/3976.aspx. 2. I used air dry clay here. I also like model magic. If I'm not going to be wrapping the clay or collaging on it, I prefer polymer clay. 3. 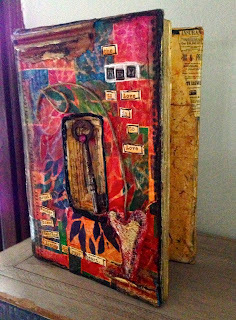 I glued all but the back cover of the book. The back cover acts like a stand. I will post a picture that shows this. Thank you so much Jessica - I really appreciate it. I will so enjoy using the stencil. This page is just wonderful. I love the mosaic look. 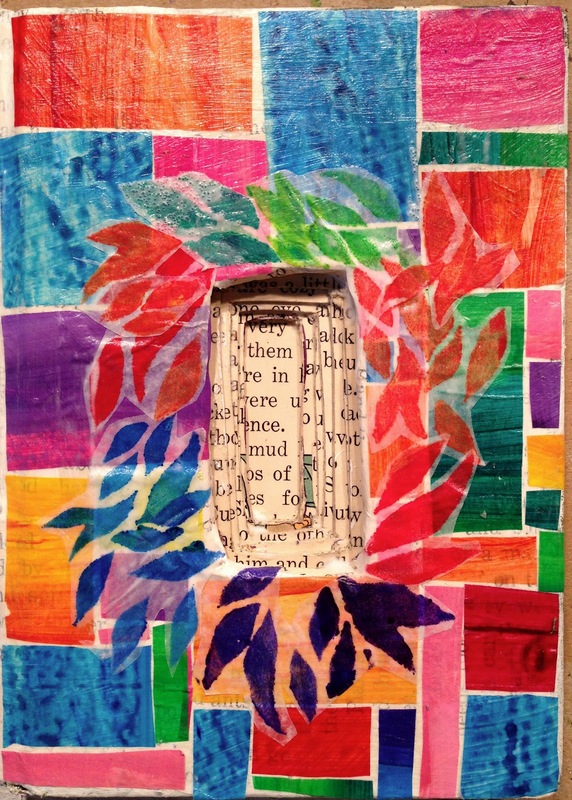 What a great idea to use deli paper. It has such a cool look painted. Jessica, I saw this on Make it Monday and glad I came for a closer look. It was great to see the entire process and the finished page is absolutely stunning. Woohoo! Yea me! I just emailed you. Thanks for the chance to win. And what a nice niche! What a fantastic project Jessica..brilliant. How fabulous this deep, rich niche is... I love it! such a beautiful interpretation of the quote, its lovely, perfect! How lovely to see your beautiful book, and follow your creative progress and well as the interpretation of the Picasso quote.